On the surface, the new iPhone 6S looks pretty much like it's predecessor. But you know what they say: It's what's on the inside that matters. 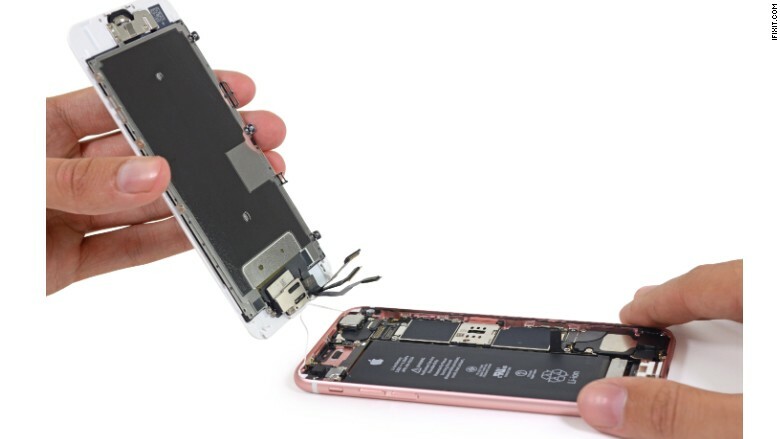 The repair guys at iFixIt took a deep dive beyond the new rose gold body and unveiled features like 3D Touch and high resolution cameras that have generated much of the iPhone 6S chatter. They conclude that surface repairs, such as fixing the screen and battery are relatively easy. But trying to access the Touch ID home button requires a whole lot of precision, and unscrewing the pentalobe screws is difficult unless you have the correct tools. 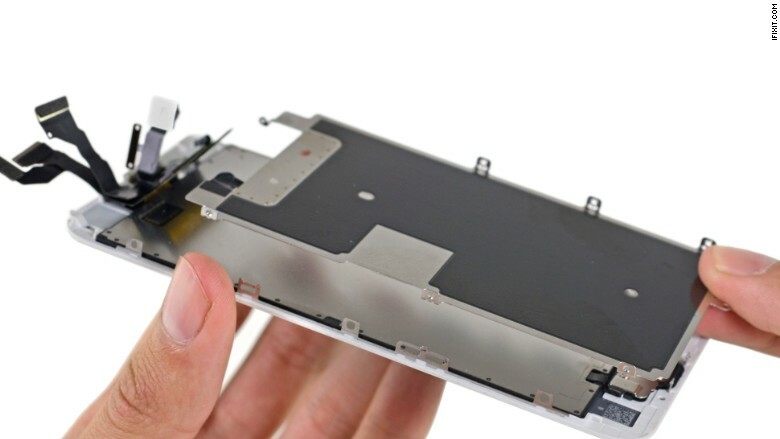 The display assembly on the iPhone 6s weighs 60 grams. 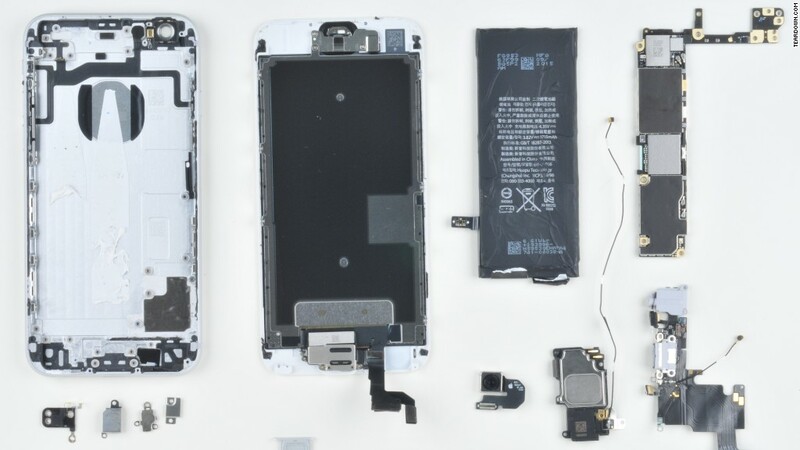 While the dimensions of the 6S remain just slightly bigger than the iPhone 6, the weight of the 6S display assembly is equivalent to that of the iPhone 6 plus and 15 grams more than the iPhone 6. An Apple Watch native, the Taptic Engine, is coming to the newest generation of iPhones. This technology introduces tactile effects like taps and bumps for varied notifications. A look at the interiors reveals that in order to accommodate for the Taptic Engine, the battery has been downsized. Instead of iPhone 6's 1810 milliampere battery, the 6S carries a 5% smaller 1715 mAh battery. 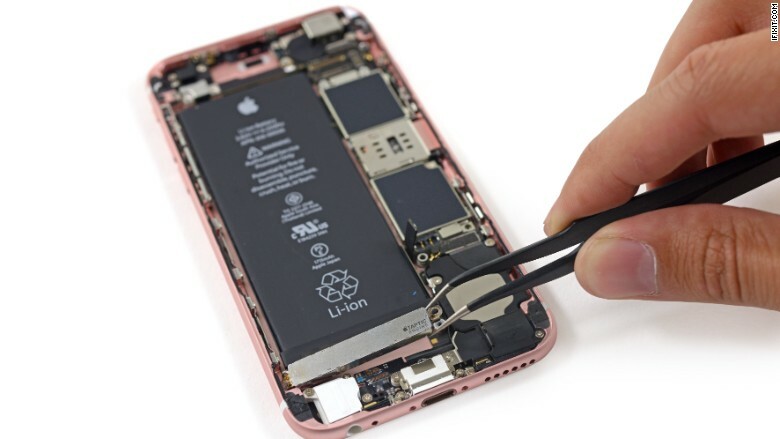 Despite this, Apple claims that the new model will have the same battery life as the iPhone 6 -- iFixIt points out that the unchanged battery life is likely due to a more efficient processor. 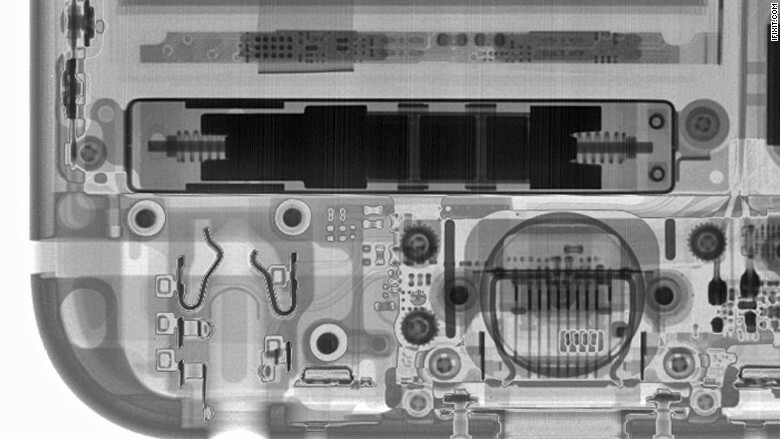 IFixit blasted the Taptic Engine with x-rays, providing a peek into the oscillating mechanism under the aluminum shell. For a few years, Samsung had Apple beat when it came to cameras. But Apple turned it into a game of equals with the iPhone 6S. In the first resolution upgrade since the iPhone 4S, Apple has bumped the camera quality to 12 megapixels. The FaceTime camera is now 5 MP (up from 1.2 MP) and the new iSight camera will allow Apple fans to foray into 4K recording. Since the last installment, Apple has improved upon the Touch ID as well as introduced the much hyped 3D Touch. When you have a phone to release once per year, it's difficult to keep being bigger and better than the rest. However, judging by the recent changes, Apple still has a few tricks left up its sleeve.